All things reading and writing. I actually read a few books, mostly because I put them on hold through Overdrive and needed to return them eventually. But books are books, right? Well, numbers-wise, this month was a little better than last, but that’s only because of the last week. I wrote 6,453 since March 23 and didn’t even write every day. Suspiciously enough, I started taking a new med for ADHD right around that time. I haven’t been diagnosed with ADHD, but my bipolar is messing with my focus just the same. Maybe it’s working? I’m not questioning it since I’ve actually gotten something done. I’ll wait and see how April goes. 7,923 words for the month. Streak: Still going strong with journaling at 821 days (since January 1, 2017)! Hey, I actually did some of this. I edited a story I wrote for the First Kisses that Never Happened series of Girl Genius fanfics. I tried to edit another story from the series or some of the chapters of Heaven Can’t Wait that are written but couldn’t get myself to do it. Sigh. But one story is better than none, right? The month has been bad for writing. My depression and fatigue got the better of me, and I pretty much gave up writing for most of the month. I’ve gotten horribly behind on everything. Just 6,544 wors for the month. Streak: Still going strong with journaling at 789 days (since January 1, 2017)! Um… Is this a thing? You’re telling me I’m supposed to actually finish stories? And then edit them, too? One book! Hey, it’s something..
I’ve been working on my project of adding sentences to a story every day, and it’s going well. It just means my wordcounts aren’t very high this month. But it’s a process, and I’m enjoying it. I’ve managed to get my minimum sentences done every day except two, although even on those days, I got some sentences. Streak: Still going strong with journaling at 761 days (since January 1, 2017)! I did get something done this month. Wrote, finished and edited one random story that popped into my head one night. And finished one of the Girl Genius kiss fics. YAY! Finished one book and started another. YAY! December was pathetic. I clocked two days of writing for a grand total of 453 words for the month, bringing the YTD total to 231,961. Just awful. I include the graph just to show to sadness. In my defense, I’ve been suffering from some health issues including severe chronic fatigue and frequent headaches. It’s a minor miracle if I can make it through a day without a nap. I think I needed a break, too. Streak: Thanks to journaling, my streak is now at 730 days (since January 1, 2017)! Nothing, nothing and more nothing. I didn’t even look at any of my unfinished fics. Started reading a book. That’s something. November has been long and grueling. And I got pretty much nothing done. NaNo was a bust. I’m sad. 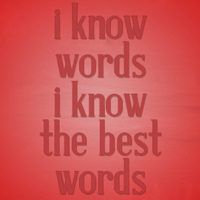 But, I guess I have more words than I did before even if it was far below my expectations. I only wrote about 12 days, totaling 12,701 for the month, bringing the YTD total to 231,508. I’ll be lucky to make my usual 250k goal for GYWO. The 350k one is completely out of reach. Haven’t decided which way I’m going to go for next year. Streak: My streak is now at 699 days (since January 1, 2017)! I managed to edit one fic. I mean, my focus was on finishing Heaven Can’t Wait for NaNo so getting anything else done is just bonus. Rereading the Girl Genius comic for like the third time this year. That counts, right? Another craptastic month. I’ve just been feeling so down lately and uninspired. I’ve barely even tried to write, and then stuff came up the last week that has kept me from writing (I hate Halloween). Totaled 6,743 for the month, bringing the YTD total to 217,986. At this rate, I won’t make my 350k word pledge by the end of the year. Sigh. Streak: My streak is now at 669 days (since January 1, 2017)! Well, I tried, that’s what counts. I did finish three other stories that I haven’t edited yet, but it’s little comfort at the moment. Three chapters of Heaven Can’t Wait, the last two chapters of Attention to Detail and four stories. And back to not reading. Sigh. I read some of a book but got distracted with writing. Which I’m okay with because I’d barely been writing lately. September was so much better than August. Still not great because I missed a few days, but it’s okay. I also finished up some stories and worked on the fanfic50 prompts. And there was one really great day (as you can see on the graph) where I hit 5,000 words. Yay! Totaled 24,000 for the month, bringing the YTD total to 211,248. Streak: My streak is now at 638 days (since January 1, 2017)! I did a lot better here, too. I finished up a couple Girl Genius fics but didn’t get to editing them. I did write, finish and edit a couple The 100 fics, and did editing on five chapters of Heaven Can’t Wait. Two chapters of Heaven Can’t Wait and six stories. Fourteen books!! I wasn’t planning on reading any, but I was having a hard time writing so went through a ton of short books. Let’s just say things sucked. I wrote about 7,000 words all month and that was like pulling teeth. Totaled 7,121 for the month, bringing the YTD total to 187,099. Streak: My streak is now at 608 days (since January 1, 2017)! I didn’t get much done here either until the last two days. 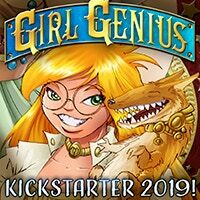 I finished a couple Girl Genius stories, edited two chapters of Attention to Detail, and edited a few other stories and tried to edit chapter 32 of Heaven Can’t Wait (didn’t have much success, though). Two chapters of Attention to Detail and two stories. I’m either going to fail my Goodreads challenge or really hate myself in a couple months. Not a good month for me–writing or otherwise. There were eleven days I didn’t do any creative writing. I did journal every day so there’s that. I’m over 23k words behind my goal for the year. I came back from a nearly 50k deficit in April so I’m not too worried. Totaled 9,513 for the month, bringing the YTD total to 179,978. Streak: My streak is now at 577 days (since January 1, 2017)! Well, I finished up about three new stories and edited in some fashion four others plus a couple chapters of Heaven Can’t Wait. I’ve fallen way behind, and I’d been so close to catching up to my original publishing schedule (this is what motivates me to finish stuff). Five stories and four chapters of Heaven. I fell way behind with this. Well, not “way” behind but behind where I wanted to be. I’ve just been feeling like crap with my moods all over the place and always tired (starting to think there might actually be something wrong with me). I didn’t write creative words every day, but it wasn’t a complete failure because I still managed to journal. Totaled 11,793 for the month, bringing the YTD total to 170,370. Streak: My streak is now at 564 days (since January 1, 2017)! I managed three (and a half) chapters of Heaven Can’t Wait which means I’m behind again. Oh, well. I also finished up one of the April 2017 Camp stories and two for Red vs Blue that I wrote this month. I worked on editing a few others, but nothing got completely finished.